Dear SBI PO Aspirants, as you know the SBI PO Online Exam 2014 will consists of Descriptive Test for 50 marks. As there is no Descriptive paper in other banking exams, people are feeling nervous about this test. So, we have decided to put special focus on this area. So below, we are giving you the detailed analysis and study materials (including practice tests) for the descriptive test of SBI PO 2014. 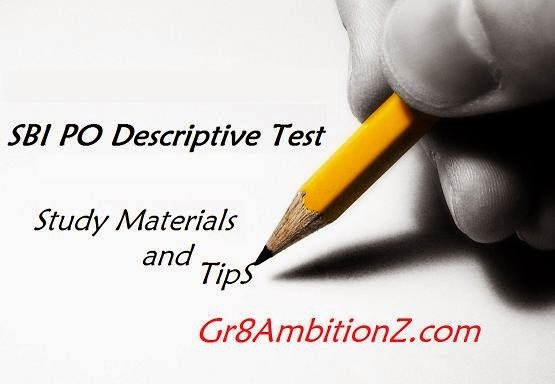 What to prepare for Descriptive Test of SBI PO ? Now lets have a look at topic wise study materials along with some examples. Lesson 2 : How to write good Precis ? Lesson 6 : How to score Maximum Marks in Essay Writing ?